Quite a bit of Band Hero news for you today. We've been curious about whether Band Hero songs would be importable to Guitar Hero 5. Turns out 61 out of 65 of them are, for a fee of $5. Songs from World Tour, Smash Hits, and Guitar Hero 5 will be importable into Band Hero, as well. Confusing? Yes, but at least the feature is being offered. The entire songlist has been released too, and as you'd expect, it is quite pop heavy. I was expecting the entire list to be newer songs for the kiddos, but that's not the case. Looks like a few tunes were included for moms and dads as well. 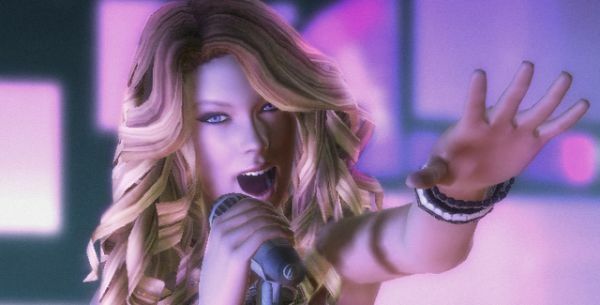 The Band Hero demo is now available, and shows off Party Play as well as a new "Sing Along" mode. "Song Along" is exactly like generic karaoke, so if you're into that, great. I'm not sure why you wouldn't just sing in normal gameplay, though. The three songs in the demo are about as varied as they come, which seems to be the order of the day for Band Hero.